Much of the tourist industry in Mexico is centered around the beach resorts on the Caribbean Sea and the Pacific Ocean. 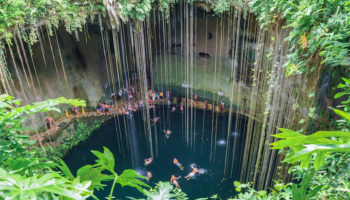 Some of Mexico’s beach destinations were once towns that gradually gained popularity as tourist destinations while others were conceived as resort towns from the outset. These popular vacation spots in Mexico offer powdery sand and crystalline water along with an abundance of tourist amenities and attractions. Playa Maroma is considered one of the best beaches in the world. Located on the Gulf coast just over 50 km (30 miles) from the Riviera Maya, Playa Maroma is a quiet hideaway that seems far, far away from the crowds of Cancun, allowing visitors to experience both white sand beaches with gorgeous blue water and lush rainforests. The beach is especially popular with snorkelers who can begin their underwater touring right from the shore. Beach access is limited to guests of the various resorts or the local beach club. Just as birds fly south to escape the cold of northern winter, Mazatlan is a popular destination for winter’s human snowbirds. Nicknamed “Pearl of the Pacific,” Mazatlan offers 11 miles of golden sand beaches, the largest boardwalk in Latin America, blue lagoons and water sports that draw tourists any time of the year, but especially during the winter. Located in Sinaloa Province, Mazatlan also offers travelers a chance to experience a more traditional Mexican lifestyle, since the historic old section of town still carries on much as it did before flocks of tourists arrived on its shores. Situated on the Bay of Banderas along Mexico’s Pacific Coast in the state of Jalisco is the popular vacation city, Puerto Vallarta. Landscapes of gorgeous beaches and lush jungle mountains envelope this picturesque town of colonial landmarks, first-class resorts, gourmet restaurants, fabulous shops and dozens of nightclubs. As Puerto Vallarta is a popular diving destination, there are many dive shops located throughout the beaches. 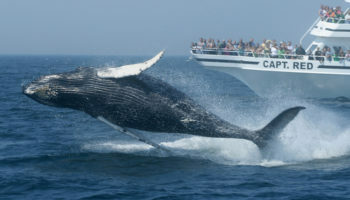 Giant manta rays and dolphins can be viewed here while humpback whales can be seen between December and March. Commonly referred to as simply “Playa,” Playa del Carmen is a lively resort town in the state of Quintana Roo on Mexico’s Yucatan Peninsula. Formerly a quiet fishing village of distinct European influence, the town has expanded in recent years into a vibrant resort town of beautiful beaches and entertainment venues. However, Playa still retains its relaxed atmosphere and friendly locals. 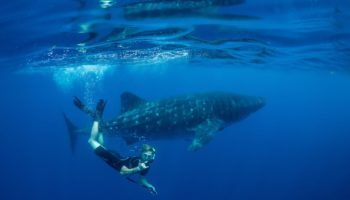 With the Mesoamerican Barrier Reef just off the shore, there are plenty of opportunities for scuba diving and snorkeling. Puerto Escondido, located on Bahia Bay, is popular with surfers, water sports enthusiasts and anyone who just wants to chill out on a scenic beach, such as Playa Zicatela. The town’s name means “hidden port,” a link to its fishing village status. The city also is a regional market town; the Mercado Bento Juarez is the place to shop on Saturday mornings. Puerto Escondido is divided into halves: The upper half is where the locals live while the lower town is geared for tourists, especially the Avenue Perez Gasga, which is a pedestrian zone. Located in the Caribbean Sea on the Yucatan Peninsula, the thirty-mile island of Cozumel is one of the top diving destinations in the Western Hemisphere. For this reason, dive shops abound all over the island. Cozumel is also one of Mexico’s most visited cruise port-of-calls, and tourists will find the cruise docks bustling with vendors selling a variety of souvenirs from t-shirts to jewelry, tequila and Cuban cigars. Tulum is famous for at least two things: its gorgeous Caribbean beaches and its archaeology ruins, which includes a walled city. Located on the Yucatan Peninsula, Tulum was one of the last cities build by the Mayans. It is one of the best preserved Mayan sites on Mexico’s east coast. Sitting as it does on a bluff, the ruins offer spectacular views of the Caribbean Sea. The ruins make a good day trip from Cancun, but travelers who choose to stay in Tulum can also enjoy the beautiful beaches that offer snorkeling and diving as well as sunbathing. 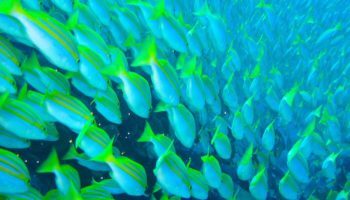 Regarded as the marlin sport fishing capital of the world, Los Cabos has rapidly gained popularity over the last few decades as one of the top vacation spots in Mexico. 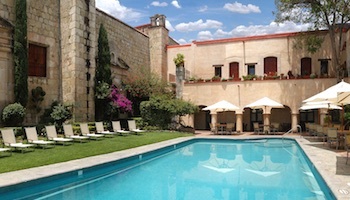 Located in the Mexican state of Baja California Sur, Los Cabos is composed of two towns, San Jose and San Lucas, that are divided by twenty miles of scenic highway known as “the Corridor.” While the former mission town of Cabo San Jose is a traditional Mexican town with a relaxed, quiet ambiance, Cabo San Lucas is all about luxury resorts, upscale restaurants and a glittering party scene. Cabo San Lucas is also known for its natural attraction, Land’s End, which features a cluster of rocks shaped by the sea and wind into distinctive formations. 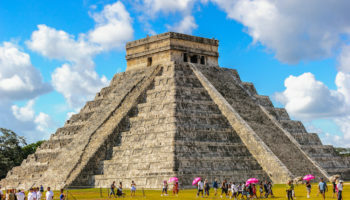 A world famous tourist destination on the Caribbean coast of Mexico’s Yucatan Peninsula, Cancun presents a complete vacation package of fabulous beaches, a first-class hotel zone, Mayan ruins, modern attractions and an exuberant nightlife. But it is the year-round perfect weather and gorgeous beaches that make Cancun one of the best vacation spots in Mexico. 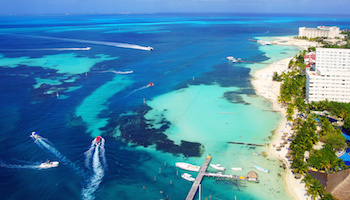 The Cancún hotel zone is almost entirely built around the tourist industry. 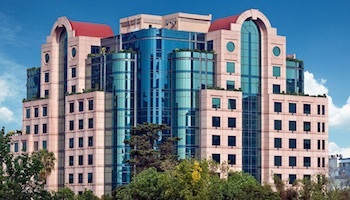 It abounds with all-inclusive resort hotels. 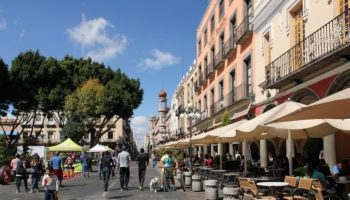 The downtown area, known as El Centro, beats to a more authentic Mexican tune with its restaurants, markets, bars and clubs. Which beach destination do you consider the best place to visit in Mexico? Mexico never fails to amaze me with its gorgeousness over the years. Beautiful country! Beautiful pictures and great destinations. I love the Riviera Maya and plan to visit Los Cabos as well. Lots of other great places to choose from as well, thanks for sharing! 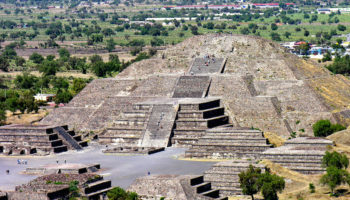 Missing from this list – Guanajuato, MX. 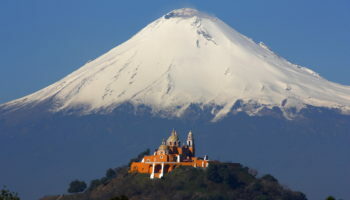 I’ve traveled all over Mexico for the past 30 years, and there’s no city quite like it. Like most lists, you focus on the beaches and ignore the beautiful silver mining towns within the colonial heartland of Mexico. Good recommendations…for a certain kind of traveler/tourist. 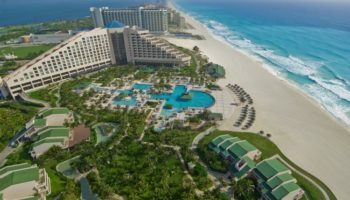 Cancun is definitely for people who don’t really want to venture too far from their comfort zone – basically the U.S. with great beaches. When it comes to Tulum, it’s more of a hippie-hideaway. The vibe can be VERY different in these different towns. But I cannot deny: they are all fantastically beautiful. Mexico’s beaches really are spectacular. For those looking for a more “authentic” experience, I recommend Xcalak, on the Yucatan Peninsula (just north of Belize).